Considered and decided by Randall, Presiding Judge, Toussaint, Chief Judge, and Peterson, Judge. 1. In a standard homeowner�s insurance policy, Minnesota law does not recognize a distinction between a �business� exclusion and a �business pursuits� exclusion. 2. For purposes of a standard homeowner�s insurance policy, vacant land is land that is unoccupied and unused. This is an appeal from summary judgment determining that the homeowner�s insurance policy issued by respondent Metropolitan Property and Casualty Insurance Company to appellant-Jablonske did not provide coverage for a lawsuit against Jablonske for injuries suffered when appellant-Senko struck a recently constructed unmarked snow-covered ditch with his snowmobile while on a trail on land owned by Jablonske. 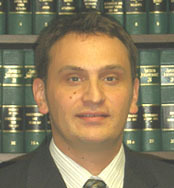 Senko, who stands in Jablonske�s shoes pursuant to a Miller Shugart agreement, argues that the district court erred in determining that (a) the business and business premises exclusions exclude insurance coverage for the claims when there was no connection between the claims and Jablonske�s business; and (b) the farming and rental exclusions excluded coverage when Jablonske�s land was not farmed or rented for profit at the time of the accident. Because the district court properly determined that there was no coverage under the insurance policy issued by Metropolitan Property and Casualty Insurance Company, we affirm. This appeal involves a declaratory judgment action brought by respondent Metropolitan Property and Casualty Insurance Company (�MPCIC�) to determine its obligations for coverage under a policy issued to Gregory and Susan Jablonske (collectively the �Jablonskes�). Gregory Jablonske (�Jablonske�) is a well-known land developer who owns Greg J. Homes, Inc. (�Greg J. Homes�). In the early 1990s, the Jablonskes purchased a plot of land in Dakota County that eventually became known as �South Oaks.� From the time of their purchase of South Oaks until the fall of 2001, the Jablonskes rented the land to the Bauer family, who farmed the land. South Oaks was rented for ,000 per year, and the Jablonskes claimed this payment as income on their personal income tax returns. In early 2001, MPCIC issued a PAK II homeowner�s policy to the Jablonskes. The PAK II policy was effective March 2001 through March 2002, and provided coverage for the Jablonskes� vehicles, boat, and home, and also provided personal liability coverage. The policy specifically provided coverage for claims resulting from an occurrence in which there was actual accidental property damage, personal injury or death, anywhere in the world, subject to the limitations of the policy. The policy also provided coverage for incidents in connection with vacant land, as long as the land was not used for farming or ranching. 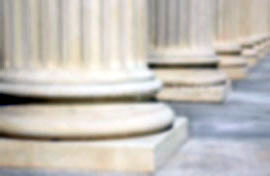 The policy excluded coverage for accidents occurring in connection with any business, profession, or occupation. It was the Jablonskes� understanding that the PAK II policy provided coverage for South Oaks. Directly south of South Oaks was a parcel of land known as Century South. In October 2000, during the development of Century South into a residential housing development, the City of Hastings became aware that it would need an easement from the Jablonskes for a planned sanitary sewer and water main being built to serve the Century South development. The City of Hastings obtained a temporary construction easement and permanent easement from the Jablonskes in September 2001. Shortly thereafter, construction began on the project to provide a sanitary sewer and water connection to Century South. As part of this construction, sewer connections or �curb boxes� were also constructed for future development of South Oaks. The Jablonskes were compensated by the City of Hastings in the amount of ,800 for their grant of the easement. Jablonske acknowledges that Jablonske�s real property will develop in the foreseeable future and, in connection therewith, it is anticipated that dedicated right-of-way contained on Lyman�s plat of Century South . . . will, in the future, be extended north over and upon the Jablonske real property, and that the Jablonske property will be improved with storm sewer facilities. According to James Johnston, Lyman�s Vice President, the installation of the storm sewer outlet on South Oaks in the fall and winter of 2001 saved Jablonske the expense of having to construct that portion of the storm sewer outlet on his own as part of his development of South Oaks. In January 2001, Jablonske began taking steps to develop South Oaks by procuring the services of Probe Engineering Company, Inc. (Probe) to prepare a development plan and plat maps for South Oaks. Several communications between Probe and Jablonske regarding South Oaks consistently referred to Greg J. Homes as the organization on whose behalf Jablonske acted. In October 2001, Jablonske requested that the City of Hastings rezone South Oaks from agricultural use to multi-dwelling use. The Hastings Planning Commission publicly considered and approved Jablonske�s South Oaks development plan on November 26, 2001. Shortly thereafter, the local Hastings newspaper reported that the South Oaks development would consist of town homes and single family homes totaling about 197 units on 48 acres of land. On January 14, 2002, Joseph Senko was injured while riding a snowmobile on South Oaks. Senko was snowmobiling along the southern boundary of South Oaks when he struck a ditch constructed as part of the storm sewer outlet. Appellants Joseph and Jean Senko (collectively �the Senkos�) subsequently commenced a lawsuit against the entities involved with the design and construction of the storm sewer, and Jablonske as the owner of the land. The complaint alleged that the underlying defendants were negligent in the design and construction of the storm sewer outlet, and that Jablonske was a negligent landowner for allowing a dangerous and hidden condition to exist on his property. Jablonske tendered the matter first to Greg J. Homes� insurance carrier, State Farm Insurance Company, which accepted tender of defense under a reservation of rights. Jablonske then tendered the matter to MPCIC, the provider of his PAK II homeowner�s policy. MPCIC also accepted defense of the claim under a reservation of rights. Shortly thereafter, State Farm denied coverage under its policy and withdrew its defense. MPCIC continued its defense of Jablonske, but commenced this declaratory judgment action to determine its coverage obligations. MPCIC moved for summary judgment arguing that it had no obligation to defend or indemnify Jablonske for any of the underlying claims because the accident arose out of the business activities of Jablonskes� land development of South Oaks. MPCIC further argued that there was also no coverage for the Senkos� claims because the accident did not occur on vacant land, given the long-term farming of South Oaks for which Jablonske received rental monies. Before the summary judgment motion hearing, all the defendants in the underlying action settled with the Senkos. Jablonske entered into a Miller Shugart agreement with the Senkos, who then argued against MPCIC�s motion for summary judgment. The district court granted MPCIC�s motion for summary judgment, concluding that there was no coverage because the business activities exclusion applied and because the accident did not occur on vacant land (farming exclusion). The Senkos, who stand in Jablonske�s shoes pursuant to the Miller Shugart agreement, appealed. I. Did the district court err in concluding that the business and business premises exclusions barred coverage under the PAK II policy issued by MPCIC? II. Did the district court err in concluding that there was no coverage under the PAK II policy because South Oaks was farmed through the fall of 2001 and, therefore, South Oakes was not �vacant land� as defined by the policy? case are questions of law that this court reviews de novo. Am. Family Ins. Co. v. Walser, 628 N.W.2d 605, 609 (Minn. 2001). Under Minnesota law, insurance policies are contracts, and, unless there are statutory laws to the contrary, general principles of contract law apply. Epland v. Meade Ins. Agency Assocs., Inc., 564 N.W.2d 203, 207 (Minn. 1997). When the language of a contract is unambiguous, courts should interpret that language in accordance with its plain and ordinary meaning. Illinois Farmers Ins. Co. v. Glass Serv. Co., 683 N.W.2d 792, 799 (Minn. 2004). Courts should �guard against� invitations to find ambiguity where none exists. Columbia Heights Motors, Inc. v. Allstate Ins. Co., 275 N.W.2d 32, 36 (Minn. 1979). Legal Liability Protection. Under the liability section of this policy you�re covered when somebody makes a claim against you. We�ll cover your legal liability resulting from an occurrence in which there is actual accidental property damage, personal injury or death, anywhere in the world, subject to the limitations and exclusions in PAK II. By occurrence, we mean an event, including continuous or repeated exposure to the same conditions, resulting in personal injury or property damage neither expected nor intended by anyone insured by PAK II. �Personal injury� is physical injury such as broken bones. It also includes nonphysical injuries to a person�s feelings or reputation, including mental injury, mental anguish, wrongful eviction, libel, slander, defamation of character, invasion of privacy and false arrest. Remember: you are not covered for liability for physical bodily injury if it results from an intentional act. Other nonphysical personal injury is not covered if you could�ve expected the injury that resulted. We cover your liability for an accident or incident that happens in your home that is listed on the Coverage Summary. You and your family are protected against claims up to the limit of liability per occurrence shown on the Coverage Summary. The Senkos argue that the district court erred in concluding that there was no coverage under the PAK II policy because (1) the �business exclusion� contained in the policy does not exclude coverage for the Senkos� claims since their claims are not connected to Jablonske�s business, profession, or occupation; and (2) the �business premises exclusion� does not exclude coverage under the policy since South Oaks was not used in a business or rented for profit. The Minnesota Supreme Court has defined business purposes in an insurance policy as �a type of activity in which persons regularly engage for the purpose of earning a livelihood or for gain.� Allied Mut. Cas. Co. v. Askerud, 254 Minn. 156, 163, 94 N.W.2d 534, 539-40 (1959). A business-purposes exclusion is intended �to confine the homeowner�s policy coverage to nonbusiness risks and to relegate business coverage to a commercial policy.� Erickson v. Christie, 622 N.W.2d 138, 140 (Minn. App. 2001). Such an exclusion further serves to �delete coverage which is not essential to the purchasers of the policy and which would normally require specialized underwriting and rating, and thus keeps premium rates at a reasonable level.� Grossman v. Am. Family Mut. Ins. Co., 461 N.W.2d 489, 495 (Minn. App. 1990) (quotations omitted), review denied (Minn. Dec. 20, 1990). The district court here concluded that Jablonske�s planning and preparation for the development of South Oaks constituted a �business pursuit.� Thus, the district court concluded that there was no coverage under the policy issued by MPCIC. In support of their claim, the Senkos cite Van Hollenbeck v. Ins. Co. of N. Am., a Michigan case in which an insured sought coverage under his homeowners� policy after a former business associate sued him individually for conspiracy to commit malicious prosecution and abuse of process. 403 N.W.2d 166, 168 (Mich. App. 1987). The policy contained an exclusion under which the company refused to cover injuries caused in relation to �business or business property.� Id. at 169. The policy defined business as �trade, profession, or occupation.� Id. The trial court found that the insured�s activities fell within the �business� exclusion. Id. at 168. In doing so, the trial court treated the exclusion as a �business pursuits� exclusion, which under Michigan law, excludes injuries resulting from activity �that is profit motivated and that contains some degree of continuity.� Id. at 169. Given the common usage of [the business pursuits] exclusion, as well as this jurisdiction�s policy to strictly construe ambiguous exclusions against the insurer which drafted the policy, we believe it would be inappropriate to read the word �pursuits� into the instant �business� exclusion. Although we acknowledge the reasonableness of the trial court�s interpretation of the [instant] exclusion as encompassing any activity engaged in for profit, trade, or occupation, we likewise observe that the interpretation offered by plaintiffs is just as reasonable. The ambiguity in the clause should not inure to the benefit of the insurer who drafted the policy. If [the insurer] wanted to specifically exclude the �business pursuits� of its insured, it was perfectly capable of doing so. Consequently, construing the �business� exclusion narrowly, we are unpersuaded that it applied to negate coverage in the underlying suit. The distinction between a �business� exclusion and a �business pursuits� exclusion was also recognized in Dome Corp. v. Kennard, 172 F.3d 1278 (10th Cir. 1999). In Kennard, the former operators of certain oil and gas wells sued the owner and the investigator hired by the owner, alleging that a report issued by the investigator constituted libel and slander. Id. at 1279. The owner sought insurance coverage under his homeowner�s policy, and insurer sought a determination of coverage. Id. at 1279-80. Applying Michigan law, the district court concluded that under the policy, insurers had no duty to defend or indemnify the owner. Id. Id. at 1281-82 (citation omitted). The court held that in choosing to narrowly define �business,� the insurer created an ambiguity, which, under Michigan law, must be construed in favor of the insured. Id. at 1282. The Senkos argue that even interpreting the PAK II policy broadly under a �business pursuits� analysis, the exclusion does not apply because the Senkos� claims are not �connected with� Jablonske�s �business, profession, or occupation.� We disagree. In Minnesota, �[t]he focus of a business pursuits exclusion is on the liability-causing conduct.� Erickson, 622 N.W.2d at 140. If the conduct, by whomever performed, is within a business activity of anyone insured under the policy, coverage is excluded. See Zimmerman v. Safeco Ins. Co. of Am., 605 N.W.2d 727, 731 (Minn. 2000) (stating that �the appropriate focus must be on the liability-creating conduct� in interpreting a business pursuits insurance exclusion). �Connected� is defined as �related; affiliated; associated; having something do to (with).� Webster�s New Universal Unabridged Dictionary 386 (Deluxe 2nd ed. 1983). Here, the undisputed facts demonstrate that the existence of the drainage ditch was �connected� with Jablonske�s business. The record reflects that the City of Hastings constructed sewer and water lines through South Oaks and provided hook-ups for future connections in the development of South Oaks. Also, the construction of the storm sewer outlet on South Oaks not only provided an outlet for the adjacent Century South development, but also was meant to benefit Jablonske�s development of South Oaks. In fact, the agreement that provided Lyman and its contractors the right to enter South Oaks to construct the storm sewer outlet actually stated that the construction of the storm sewer outlet would benefit the South Oaks� development. is clear that the development of South Oaks began long before the accident occurred in January 2002. The Senkos then argue that there is no connection between the liability causing conduct and Jablonske�s business because Jablonske, rather than Greg J. Homes, was the owner of the land, and because Jablonske�s �business� was that of a homebuilder rather than a land developer. But the record reflects that Jablonske�s pattern and practice was to acquire land and eventually develop and build housing developments on that land. That pattern is reflected by Jablonske�s conduct here. The record demonstrates that Jablonske, the individual, was closely intertwined with his business, Greg J. Homes. Jablonske admitted that it was difficult to say where Jablonske stopped and Greg J. Homes began. This intimate connection between Jablonske and his business is reflected in that South Oaks was actually purchased by Jablonske and his wife, but when Jablonske began his pursuit of the development of the land, much of the planning and preparation towards the development consisted of the use of Greg J. Homes� letterhead and finances. We agree with the district court that the liability causing conduct is �connected with [Jablonske�s] business, profession, or occupation,� and the district court did not err in concluding that there was no coverage under the business exclusion. At the time of the accident, South Oaks constituted a business premises. Prior to the accident, the City of Hastings constructed sewer and water lines through South Oaks and provided hook-ups for future connections in the development of South Oaks. Also prior to the accident, a storm sewer was constructed on the property that would ultimately benefit the development of South Oaks. The record reflects that Jablonske was paid ,800 by the City of Hastings for his grant of the easement, and that M.W. Johnson Construction eventually entered into an agreement with Greg J. Homes to develop the lots in South Oaks for ,750,000. Although the agreement with M.W. Johnson Construction was not finalized until February 2002, a month after the accident, the process to develop South Oaks, such as the installation of the storm sewers, sewer, and water lines, had begun long before the accident. The construction of the storm sewers, sewers, and water lines, along with the City of Hastings� approval to develop South Oaks, were essential aspects of the development of South Oaks, and Jablonske and Greg J. Homes were rewarded for the development of the property. The district court properly concluded that appellants were not entitled to coverage under the business premises exclusion. The Senkos argue that the district court erred in denying coverage under the farming exclusion of the PAK II policy because South Oaks was �vacant land� at the time of the accident. Although the Senkos concede that South Oaks was farmed in 2001, the Senkos contend that because Jablonske told Bauer that he would not rent the land for farming in 2002, the land was not used for farming at the time of the accident, and, therefore, the farming exclusion does not apply. The PAK II policy provides: �We also cover the liability of you and your family (but not others) in connection with . . . [v]acant land owned by you or rented to you as long as it is not used for farming or ranching.� The term �vacant land� is not defined in the PAK II policy.� If the terms of an insurance policy are not specifically defined, they must be given their plain, ordinary and popular meaning. Smith v. St. Paul Fire & Marine Ins. Co., 353 N.W.2d 130, 132 (Minn. 1984). transformed into vacant land simply by the �cessation of [its] customary use.� Id. at � 94.133. Here, it is undisputed that South Oaks was farmed through the fall of 2001. The evidence shows that, at the time of the accident in January 2002, there were the remnants of harvested corn protruding through the snow. The �customary use� of the land was for farming. Although the record reflects that Jablonske had stated an intention not to rent the land to Bauer for farming in the spring of 2002, this decision would not �overnight� transform the customary use of the land from farming to vacant. Jablonske�s assertion that he was not going to rent the land for farming in the spring of 2002 was a prediction of what he might do in the future, not a fact. Jablonske could have changed his mind at any time and continued to rent the land for farming to Bauer or to anyone else. If Jablonske had followed through with his stated intention not to rent the land for farming throughout 2002 and then the accident occurred in the following year, it is possible our legal analysis might change. But if it did change, it would be because the facts had changed. The facts here are that the land was farming land in January of 2002, and its owner�s intention not to rent later in the year did not make it vacant land overnight. The district court properly found that the farm exclusion excluded coverage. The record reflects that Jablonske was in the process of developing South Oaks at the time of the accident. Therefore, the business premises exclusion of the PAK II policy bars coverage under the policy. The farming exclusion of the PAK II policy effectively bars coverage under the policy because South Oaks was farmed through the fall of 2001. The possibility that Jablonske might not rent South Oaks for farming later on in the year 2002 did not suddenly transform the land into vacant land. The district court properly determined that there was no liability coverage for Jablonske under the PAK II owner�s policy issued by MPCIC.